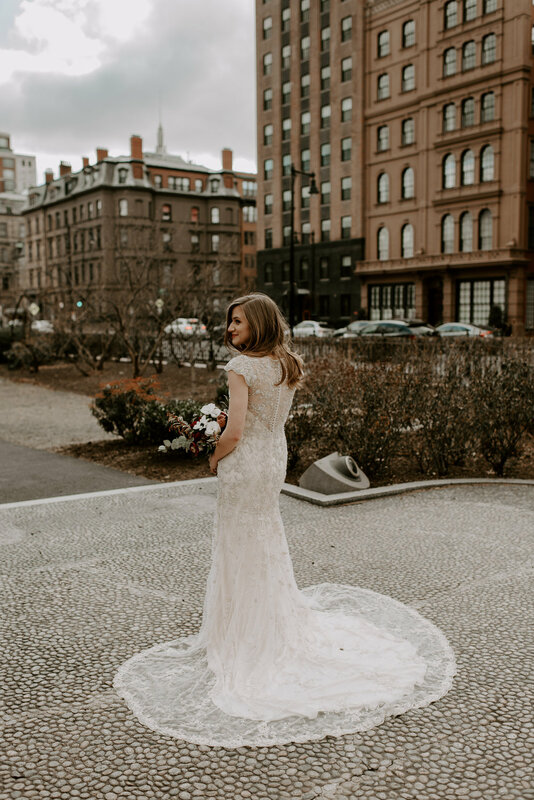 Chynna and John's Downtown Boston Wedding Elopement | Boston Wedding Elopement Photography — Madeline Rose Photography Co.
Chynna reached out to me over the summer about her and John eloping this winter before having a big reception with their families later in the spring.­ I am on board when you want to make your wedding experience more personal; having a day totally to yourselves (plus me!) 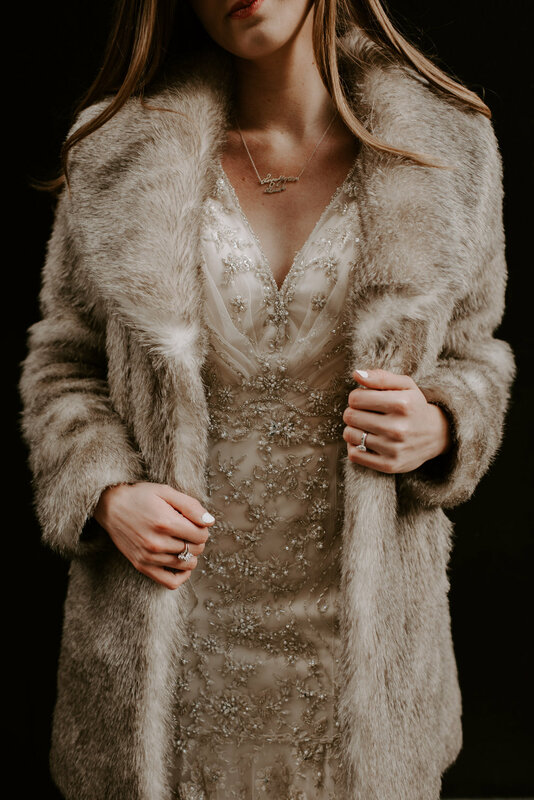 before a more traditional wedding is an excellent way to accomplish a wedding experience that is specifically just yours.­ I also found out that Chynna works as consultant for wedding photographers (hellloooo! how cool!) so of course we instantly bonded over that. 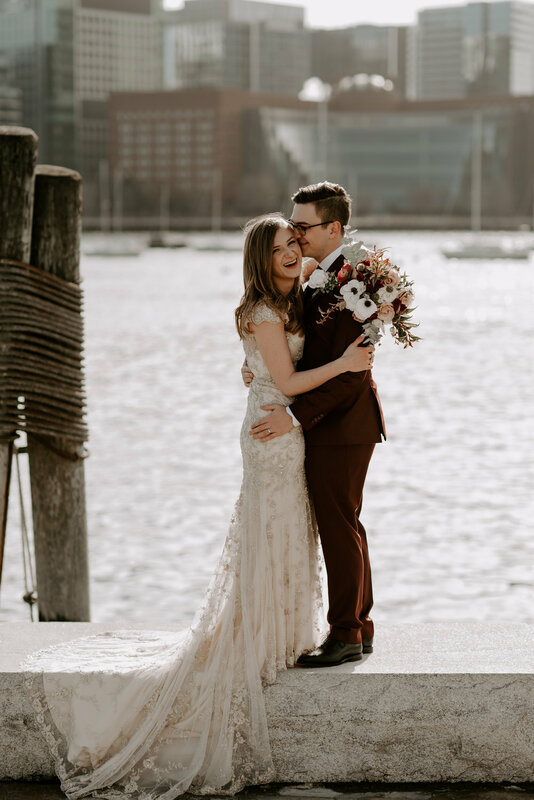 I met Chynna and John at Boston City Hall for their wedding ceremony and my breath was instantly taken away by Chynna’s vintage inspired wedding dress and John’s maroon tux….the maroon tux, can all guys moving forward wear maroon tuxes? 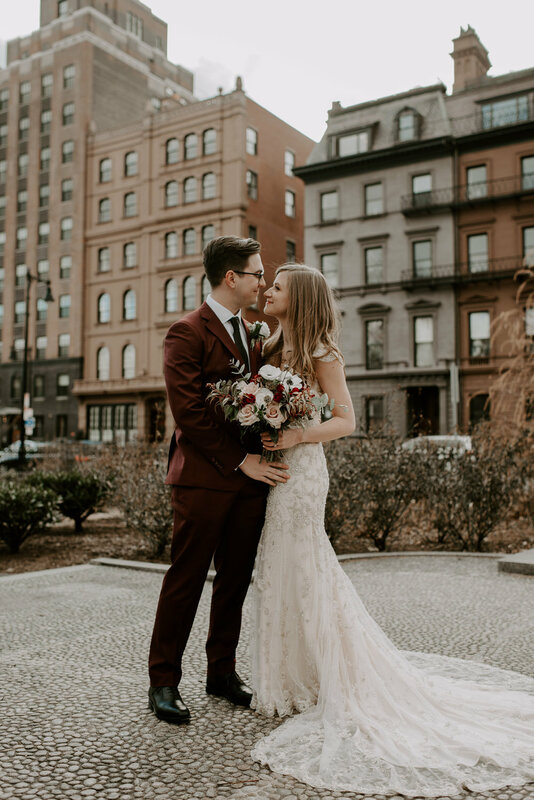 I knew we were truly in for an adventure when the first place they wanted to go as a married couple was Dunkin across the street­. 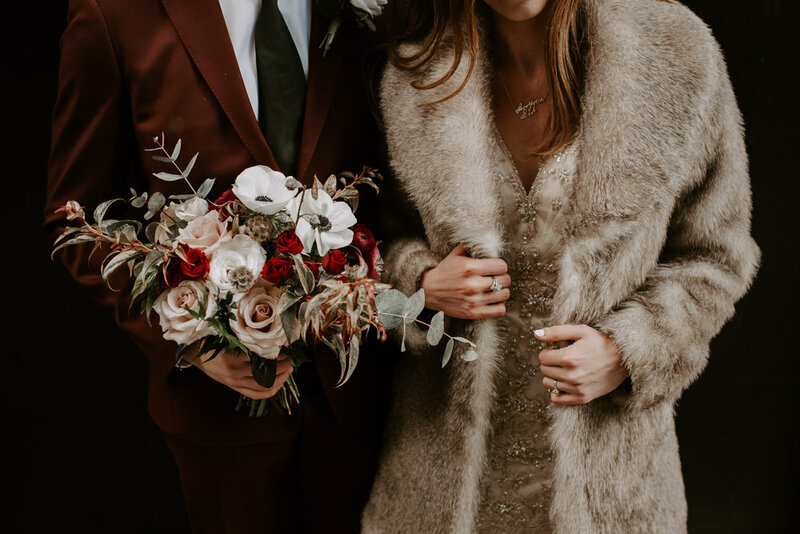 We walked over FIVE MILES together taking their downtown Boston wedding portraits, so thank God Chynna was wearing flats.­ She also rented her gorgeous faux ­fur coat for the day, which I didn’t even know you could do, but now that I do, man is that a good idea. 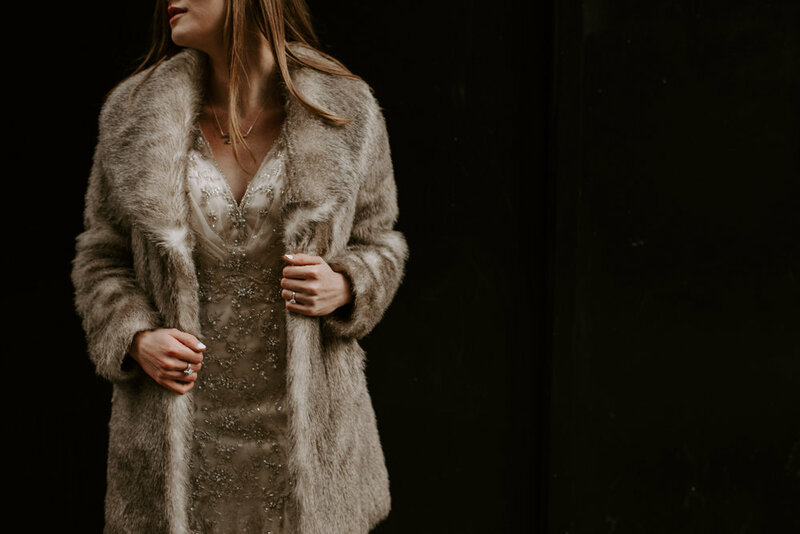 Eloping in January is risky but we lucked out with weather in the upper 30’s and a bit of sun. If you do find yourself taking winter photos is keeping hand warmers in your pockets! Key, key, key. 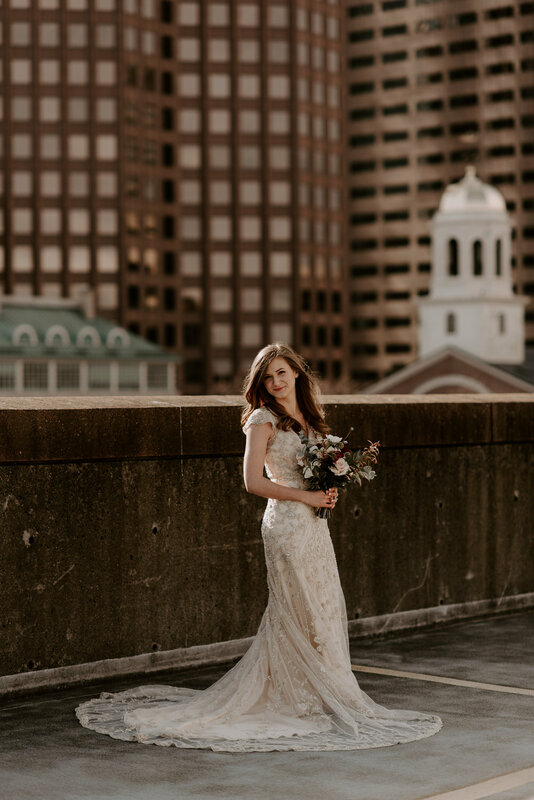 For our wedding portraits, we hit up downtown Boston hitting all the staples such as Old State House, Downtown Crossing, the Boston waterfront and harbor, Beacon Hill, and Back Bay ending at the Boston Public Library­ All day we ran into the kindest strangers who wanted to hug and congratulate Chynna and John— I guess it’s not every Friday you see a stylish couple like this eloping in the city.­ One woman at the Boston City Hall offered the sweetest words that actually brought Chynna and I to tears, and John ran into a man in the elevator who told him getting married was “badass.” I love that man, and too agree that getting married is badass. Chynna and John, after many months of planning it was surreal to finally meet you in person, and now I feel like I’ve known you my whole life. 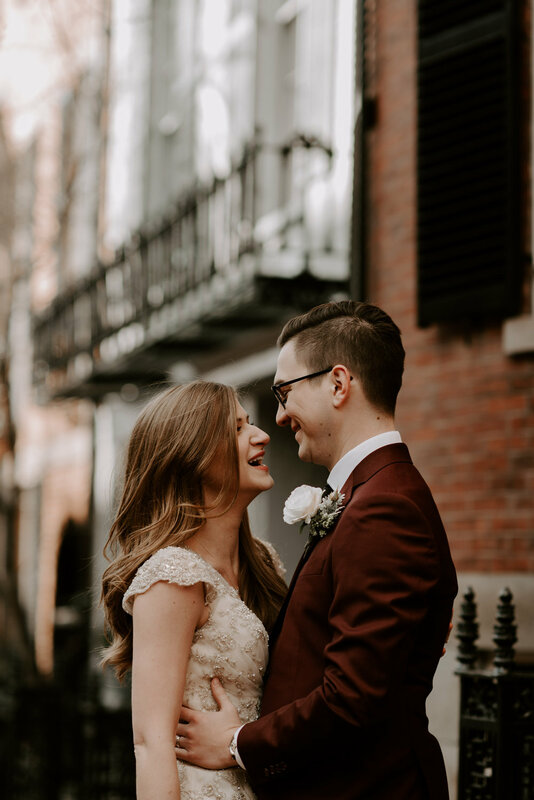 It felt like we were old friends, spending the whole afternoon quoting John Mulaney, laughing constantly, and hearing you reminisce about previous trips you’ve taken to Boston over your 8 years together. 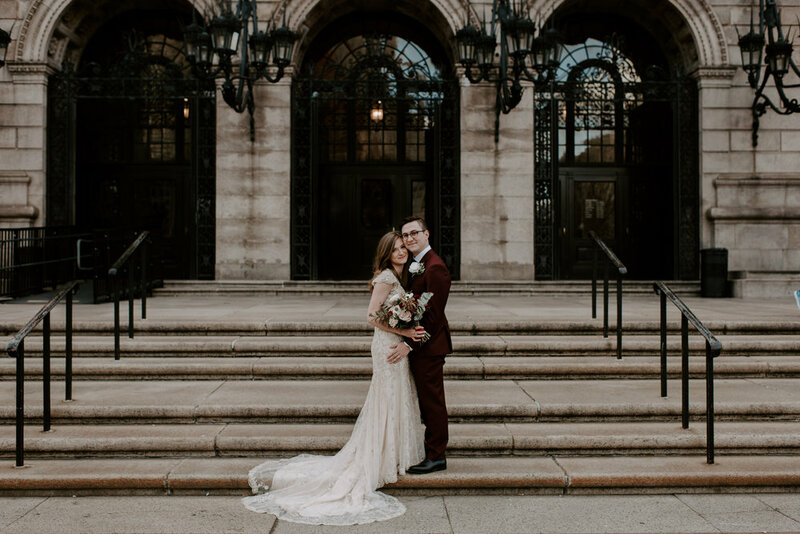 I wish you all of the best as newlyweds and hope you have the best time with your friends and family at your reception in the spring! 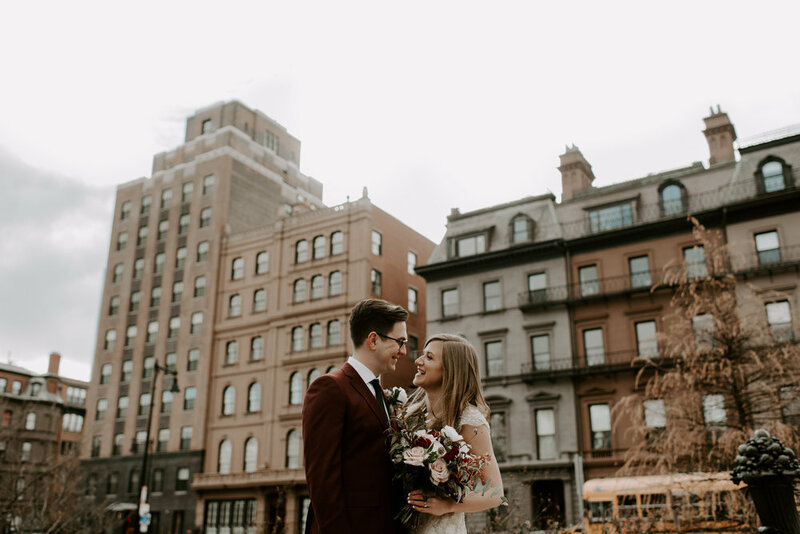 Emily and Karl's Christmastime Beacon Hill Elopement | Boston Wedding Photographer | Madeline Rose Photography Co.